This is Luthier Kevin Caton's design for a guitar kerfed lining machine. It is very compact, has a setup time of less than 5 minutes and is easy to use. After making lining this machine can easily be tucked away or hung on a wall with other jigs and fixtures. Easily makes perfect linings of any style, at a fraction of the cost of store bought linings. 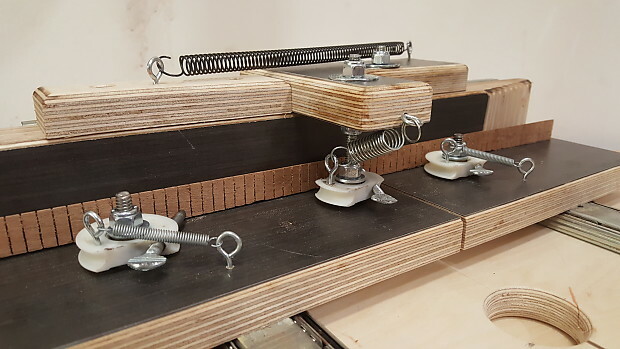 This machine is made from marine grade Baltic birch ply and comes with a 6 month warranty.